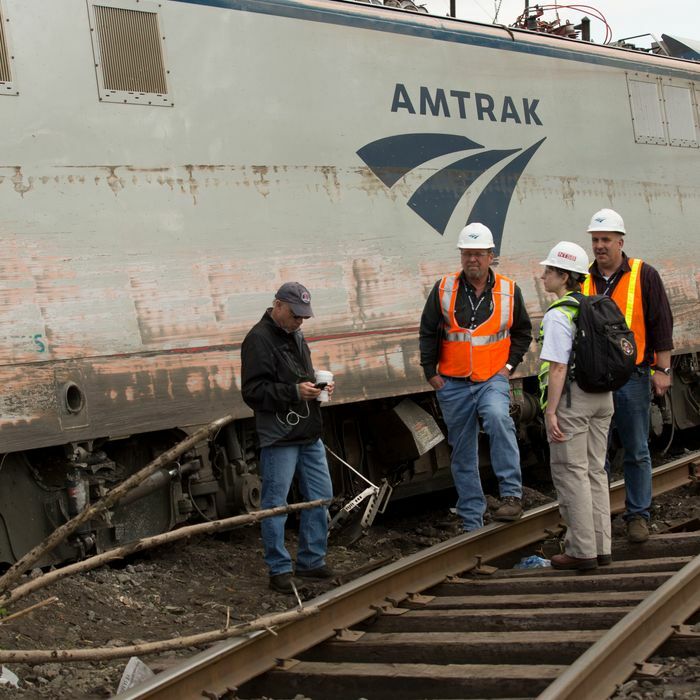 Amtrak engineer Brandon Bostian can’t recall what caused last week’s deadly derailment, but now investigators have ruled out one possibility. One of the train’s conductors said she heard Bostian say “something about his train being struck by something” to the engineer of a passing SEPTA train just before the crash, and that may explain why Bostian headed into a curve at more than 100 mph. The FBI has been investigating a small hole surrounded by a crack in the train’s windshield, and on Monday the National Transportation Safety Board wrote on Twitter the agency found no evidence that the damage was caused by a firearm. Probable cause of #Amtrak 188 accident will be determined at conclusion of NTSB’s investigation -- expected to last up to 12 months.